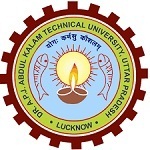 The Uttar Pradesh State Entrance Examination, also known as the UPSEE is regulated by the AKTU (Abdul Kalam Technical University), located in Lucknow, UP. The UPSEE has been organized for the students who are looking forward for an admission to their first year in BTech, BArch, BPharma, BFAD, BHMCT, BFA and in post graduate programmes like MBA, MCA and MAM. UPSEE 2018 Important Dates Announced , read complete article to get all the details. Students who are eligible to apply for the above mentioned courses shall check with the UPSEE 2018 notification that has every other detail regarding the entrance examination. The UPSEE Latest News is about the application form enrolling date that has been announced officially. The UPSEE 2018 Application Form shall be released online, starting from January 23rd of 2018. The online application form filling process shall start by January 23rd of 2018 and shall end by February 28th of 2018. Any correction with the submitted application form shall be done before 27th of March 2018 and the last date for the same has announced to be 9th April 2018. The admit cards shall be downloaded from the official web portal, starting from 11th April 2018. The entrance examination date for the engineering Courses shall be conducted on 29th of April 2018. The examination for PG and LE courses shall happen on 5th and 6th of May 2018. The results for both the entrance examinations will be declared on or before 30th of May 2018. The counselling process shall start by 19th of June 2018. Check Top Entrance Exams in India which are going to held in 2018 Year. Visit the official web portal of UPSEE from any of your internet connected mobile phone, tablet or Personal computer. From the home page, look for a link that has ‘Admit card download’ title written on them. Make a click upon them and then fill in the details that are displayed in front of your screen. You need to enter down your application form number and date of birth for verification purposes. After entering and submitting the form, the admit card gets displayed on the screen. You can directly download the admit card to your device or take a print out of them for any of your future usage. ► Did you check Engineering Entrance Exams List of 2018 ? If at all any mistake has been made with the admit card, the aspirants can report the same and get their corrected admit card within a week of time. The UPSEE Syllabus shall deal with subjects like Chemistry, Physics and Mathematics. The question paper shall be made available in both English as well as in Hindi language. Every other question in the question paper holds four marks. There is no kind of negative marking system in UPSEE 2018 entrance examination. A total of about twelve question papers containing MCQ (Multiple Choice Questions) shall be provided during the time of examination. The aspirants shall check with the UPSEE previous year papers to know more about the exam pattern of the entrance examination. The total numbers of students who have appeared for the exam. The total numbers of students have qualified from the exam. The total marks that are scored by an individual. The number of available seats to be filled up. The UPSEE Answer Key 2018 shall be released a month after the entrance examination has been taken place. The answer keys shall be made available on their official web portal and it can be downloaded to check with the correct answers for the questions that were asked during the time of entrance examination. The UPSEE 2018 Result is expected to release by the fourth week of May 2018. Once the UPSEE Result 2018 is officially announced, the candidates who have appeared for them can check with them from of their internet connected devices. Based upon the marks scored by a candidate in the entrance examination, their cut off mark, and to the category from which they come from, they shall be called over to attend UPSEE Counselling 2018 through post. Official UPSEE 2018 Counselling info date shall be released very soon.